Habitat - Savannahs, moist pine-flatwoods, sandy roadside ditches, low fields. Other information - This carnivorous little species can be found mainly in the southern half of Alabama. It is typically found in sandy, open areas that collect water. This plant and others in this genus seem to thrive in disturbed areas where ATV or truck tires make ditches that fill with water. 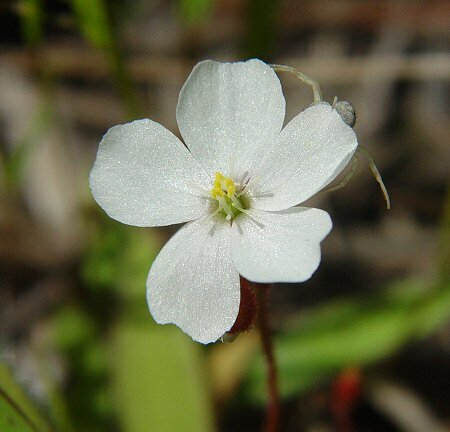 The plant is easily overlooked becasue of its small size. D. brevifolia can be identified by its cuneate leaves, large white flowers, and flowering scapes (which are covered with stipitate glands). 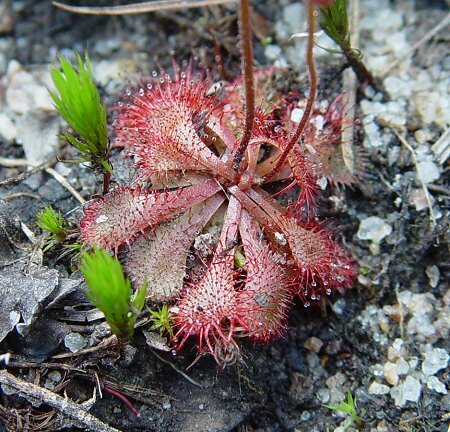 The genus name Drosera derives from the Greek "droser(o)" meaning "dewy" from the sticky leaves. 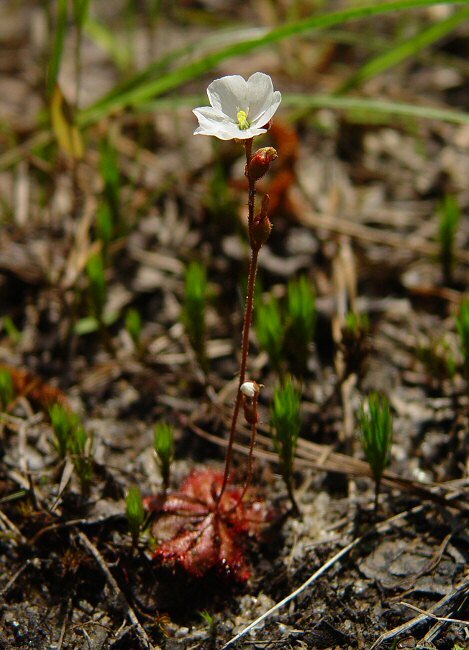 The species epithet brevifolia derives from the Latin "brev(i)" meaning "short" and "foli" meaning "a leaf" referring to the small leaves of the rosette. Photographs taken at Fort Benning, GA., 5-6-05.